Selfheal, a member of the mint family, is a common flower throughout Britain. 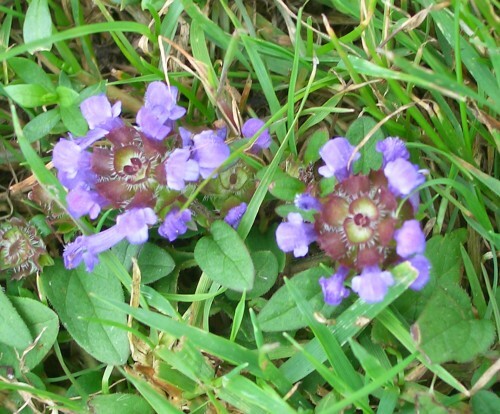 It can be found in in grassland, woods and lawns. 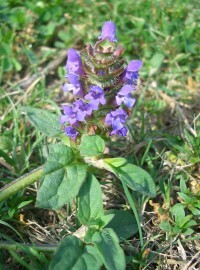 It grows in small spreading clumps with spikes of purple/violet flowers (10-15 mm high). As its name suggests, it is used in herbal medicine for sore throats and mouth ulcers. In the past it was used to stop bleeding.